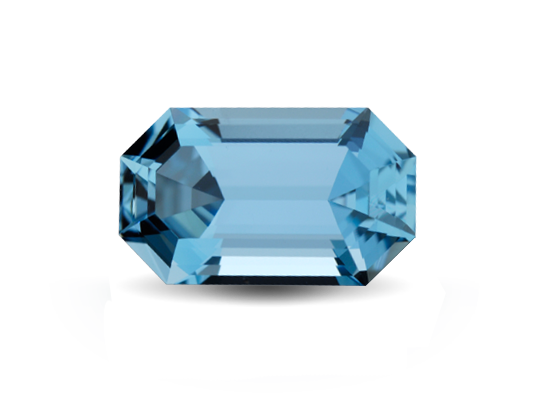 Our favorite gem cutter Roger Dery of Roger Dery Gem Design shares his thoughts on March’s birthstone – Aquamarine! 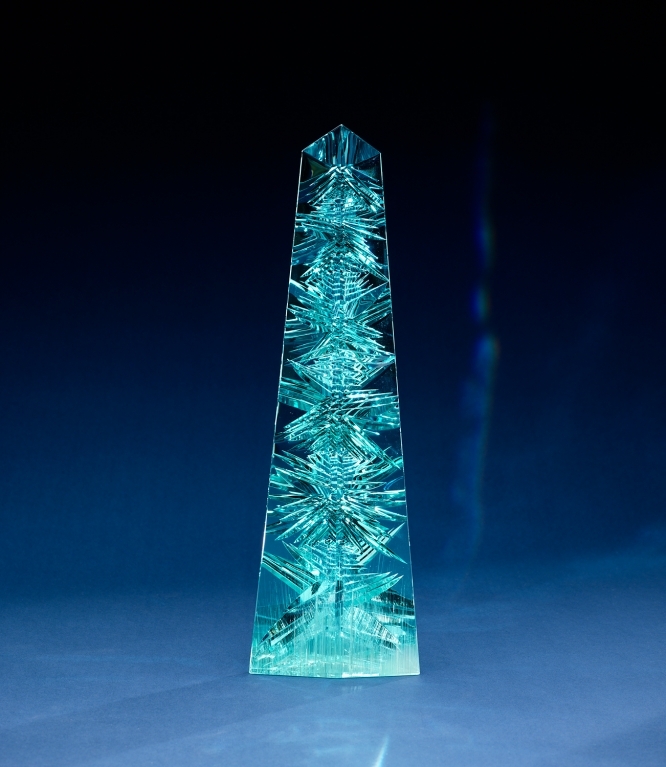 Aquamarine has a very distinctive crystal structure with its long hexagonal shape. When we’re in Africa sorting through mixed bags of rough minerals, Aquamarine can be spotted from 5 feet away! “Aquamarine” is Latin for “sea water,” aptly named for its characteristic color. However, Aqua, like sea water, can appear more blue or more green, depending on the mood of the element Iron which colors it! The most desirable color for Aquamarine is a medium toned pastel blue with just a hint of green. Usually, Aquamarines’s color will grow more intense in larger gems. 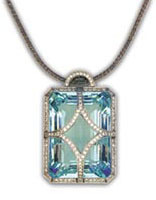 Aquamarine is the subject of many myths and legends, promising insight and foresight to the gem’s wearers. It has long been famed for its healing powers over a wide variety of illnesses…if one simply touches Aquamarine to water before drinking. To add to Aqua’s awesomeness, it is reputed to make its wearer unconquerable, amiable, and intellectual! Aquamarine shown above from L to R – 14.15ct Brazilian Aquamarine Classic Emerald Cut, 9.34ct Malawian Aquamarine Asscher Cut, 12.00ct Sri Lankan Aquamarine Rectangular Cushion. We are very excited to use this venue to provide you with the latest news, products and innovations from The King’s Jewelers – such as the new 3D technology we’re bringing to custom jewelry design! Part futuristic movie, part cool video game, this new 3D computer-aided method of making jewelry is becoming the hottest trend in custom jewelry. It’s so easy and so very fun! Working with our trained staff, you first select a starting point design from thousands of options. Then using the 3D design software, you have creative control to customize every detail of the jewelry from stone size, shape, and color to extensive design changes. Once you are satisfied, we will precision build the jewelry just for you from the computer file. You then receive a totally unique, one-of-a-kind piece that you helped create. It’s a great way to express your individuality and turn your lunch hour into an inspired burst of creativity! Visit The King’s Jewelers to design your masterpiece today!